An inspiring combination of music and teaching on the Tree of Life, the Etz Chaim (Psalm l),which opens the human heart and soul towards interspecies contact. This is a unique album which includes plants expressing themselves through singing and speaking to our hearts. Musically cued by Anyah Dishon through special instrumentation, this music opens a new chapter of human-plant interaction. 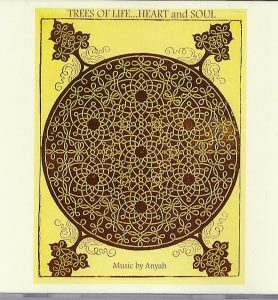 The album is based on Anyah’s music joined with the work of Drs. J.J. and Desiree Hurtak and The Academy for Future Science. Drs. Hurtak originally worked on plant music withDr. Marcel Vogel in the 1970s, whose research was instrumental for the famous book, The Secret Life of Plants, by Christopher Bird and Peter Tompkins.